The NOVA benefits consultants at the Business Benefits Group recently published a blog explaining the importance of EPL insurance, or employment practices liability insurance. This type of policy protects companies against wrongful termination suits, which can often have a serious impact on companies of any size. EPL insurance is therefore a necessary element of business plans. Wrongful termination involves firing an employee for an illegal reason or a reason in violation with the terms of their contract. For example, employees may not be terminated for discriminatory reasons, such as their religion or race, or in retaliation for reporting harassment or filing a complaint with the EEOC. Companies that face wrongful termination suits could face serious consequences. The suit may be costly and time consuming, requiring valuable resources to be diverted to the suit. In addition, news of the lawsuit could damage the business's reputation, making it difficult to expand or continue operating. EPL insurance can help businesses cover costs related to claims from employees alleging discrimination, wrongful termination, harassment, breach of contract, and other issues. In the event that a formal complaint is filed, a business can use its insurance to pay for lawyers, consultants, court-ordered awards, settlements, and other fees related to the case whether the company wins or loses the suit. Most policies do not cover punitive damages, workers compensation payments, or civil or criminal fines, however. Having an insurance policy in place before an employee complaint arises can save businesses the time and money that it needs to complete other tasks in the future. Speak to a professional benefits consultant for more information about acquiring EPL insurance. 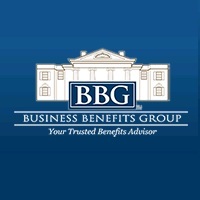 The Business Benefits Group provides Northern Virginia-based businesses with a variety of services and can help companies of all sizes develop customized benefits packages for their employees. The brokerage can assist with plan comparisons, benefits administration technology, benchmarking analysis, open enrollment communication, pre-renewal planning, and advice regarding flexible spending accounts, Cobra administration, Medicare, and consumer purchasing guidelines. BBG can be contacted at 844-201-3612 or online at https://www.bbgbroker.com/. The brokerage is headquartered at 4069 Chain Bridge Road, Top Floor, Fairfax, VA 22030.